Le Brun is one of the most influential figures to emerge in British Art in the 1980s and this selected survey exhibition of paintings, drawings, prints and sculpture from the last 30 years demonstrates how he is still evolving as an artist today. Throughout his career, Le Brun has moved effortlessly between figuration and abstraction whilst constantly enjoying the physicality and process of painting. His large canvases and sculptures show a repertoire of symbolic forms derived from nature, myth, poetry and music. He continues to explore, with great inventiveness, the conventions and potential of painting as an art form. The exhibition will take place throughout the gallery building including the 3rd and 4th floor galleries and entrance area. A selection of Le Brun’s paintings will also sit alongside works in the Garman Ryan Collection. 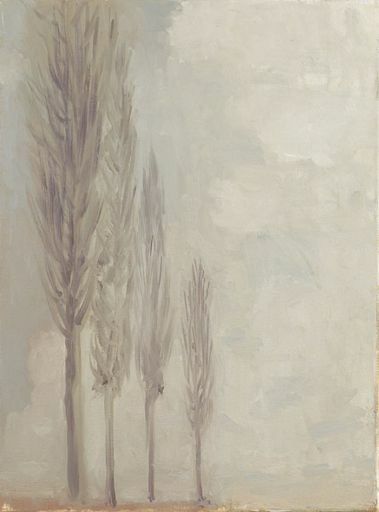 Christopher Le Brun studied painting at the Slade and Chelsea schools of Art. Following his first solo exhibition at the Nigel Greenwood Gallery in London in 1980, he rapidly established an international reputation exhibiting world-wide. His work is in many public collections both in the UK and abroad including the Tate, the British Museum, the Scottish National Gallery of Modern Art and the Museum of Modern Art, New York.